Please welcome guest blogger and Heroes customer Matt Plummer! 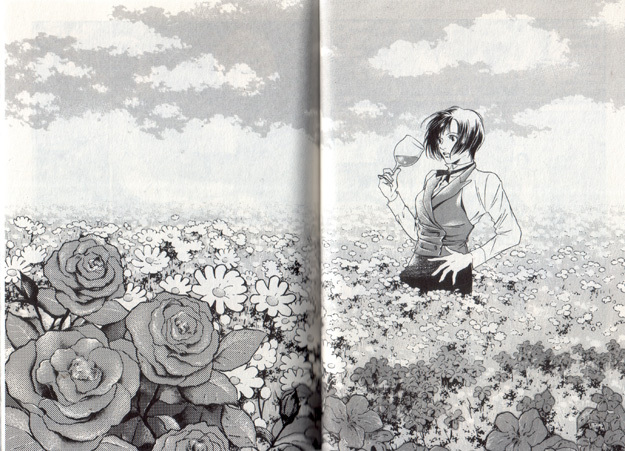 When it comes to purchasing or recommending manga to check out, there’s always the problem of middle to long-term commitment to the series because manga reads much faster and builds at a slower pace than American comic series. Often-times, you have to wait for it to hit its stride. In addition, the story arcs in manga are so long that you don’t know if it’s worth the time, effort, and money you need to put into it. Worry not though, because Drops of God: The New World addresses both issues. Drops of God is a series about two wine aficionados and their quest to claim the inheritance from their renowned wine critic father. The two face off in 13 challenges to guess their father’s 12 most beloved wines—his proclaimed “Apostles”– as well as his favorite wine, “The Drops of God”. The winner gets the bulk of his estate and his priceless wine collection. The twist is that they are only given their father’s written description of the wine which is usually cryptic—references to works of art and personal experiences. 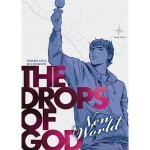 This specific volume– Drops of God: The New World–takes the reader to Napa Valley and Australia in search of the elusive “7th Apostle”. That’s all you really need to know in order to dive right into this installment. It’s a complete adventure with equal parts full characters and exciting wine-related settings. If you’re not a big fan of the “manga” look, this series is ideal because the artwork is non-traditional for manga and more western in style. Another plus to reading Drops of God: The New World first is that reading this volume won’t spoil the first 4 volumes should you decide to go back and read it from the beginning.